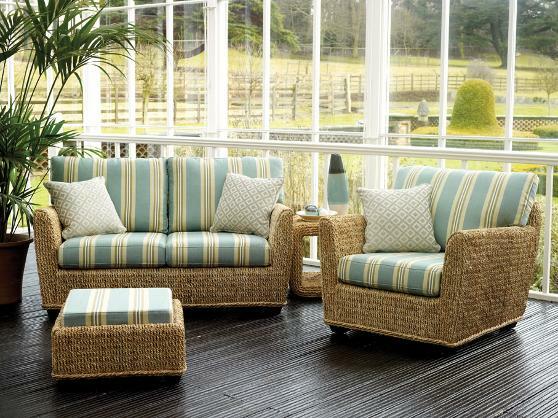 The Copacabana collection offers a highly flexible selection of pieces suitable for any space. Choose from sofa and chair options or a space saving corner group with a large choice of co-ordinating accessories. Woven in highly durable double twist banana leaf the Copacabana is both compact and extremely comfortable. Shown with Bertram Sky fabric.